FAQs – Big John's Moving INC.
No, all charges are clearly specified upfront. There are no surprises or hidden fees. How much notice is required prior to a move? We suggest that you schedule your move 2-3 weeks in advance, although we also can accommodate short-notice moves. Is a written estimate recommended? Yes! In fact, a FREE written, on-premise estimate is part of our service and helps us to accurately assess factors such as moving and/or packing conditions, stairs, service entrances, amount of delicate goods, etc. How does Big John’s maintain an excellent A+ rating? 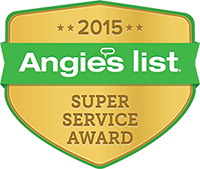 The experience, knowledge, professionalism, and exemplary customer service of our crews are major reasons why we consistently receive stellar ratings from the DOT, Better Business Bureau, Angie’s List, and The Franklin Report. Our crews are experienced career movers, not part-timers. In addition, we use only Big John’s employees and never subcontract out our services. They move your possessions as if they were their own. Our Little John’s storage facility is located at 120 Bruckner Boulevard, in the Port Morris section of the Bronx. We were the first NYC moving company to have a storage facility in this area, known as “The Gateway to Manhattan” for its proximity to the city, and just 8 minutes away from our Manhattan office. Should I pack my breakables by myself? Good question. We’ve had clients who insist on packing all their fragile items. Some prefer to have our Packing Services do it all for them, while others opt for a combination where we pack only some of their breakables. Ultimately, it’s your decision. If you decide to pack your breakable items, use bubble-wrap, unprinted newspaper, and Styrofoam loose fill for packing. Double-walled china cartons and utility boxes are best for crystal, china, and delicate items. Other protective packing options include craft paper, corrugate inserts, and glassine—a smooth, glossy paper that is air, water, and grease resistant. Custom wood crates are also an effective way to move fragile items such as antiques and artwork. Big John’s has an in-house department that can, upon your request, build custom crates to protect valuables against damage during moves.